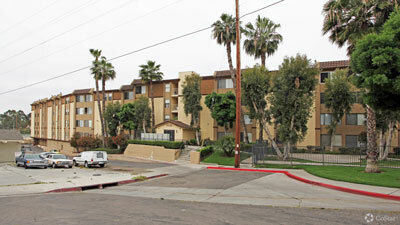 Three partnerships from the Los Angeles area and Baltimore have combined to acquire the 132-unit Solana Vista Apartments at 3710-3810 Wabash Ave. in North Park for $18.47 million. Arc Capital Partners LLC, a boutique commercial real estate investment platform, partnered with Alex. Brown Realty Inc. (ABR) and New Standard Equities (NSE) through a joint venture known as North Park Investors LLC. The seller was BGPC Las Palmas LLC out of Newport Beach, with Jerome Fink as its signatory. The buyers represented themselves. The sellers were represented by Darcy Miramontes and Kip Malo of JLL. The property had last sold for $12 million in 2007. The buyers say the upgrades are necessary "to reposition the asset to better suit millennial preferences." "The property is highly desirable due to its central location, short commute to employment centers and its proximity to a walkable neighborhood with art galleries, boutiques and eateries," the buyers wrote in a release. ABR made its investment through ABR Chesapeake Fund IV, a value-added real estate fund sponsored by ABR. "Arc Capital Partners’ keen interest in and knowledge of the millennial market, Alex Brown Realty’s flawless execution amidst a challenging time frame, and a very attractive loan ($14.72 million) from Freddie Mac created the perfect storm for our capitalization,” said Edward Ring, founder and CEO of New Standard Equities, which will be the property manager and will lead the renovation program. ABR is a privately owned real estate investment manager organized in 1972 and headquartered in Baltimore. Arc Capital Partners LLC is a Los Angeles-based boutique real estate platform co-founded by Quincy Allen and Neville Rhone to target middle-market investments. New Standard Equities is a privately held company based in Encino that was formed in 2010 by Eddie Ring, a 25-year veteran in the real estate industry. New Standard Equities focuses on turnaround opportunities through renovation and hands-on management. Its current portfolio of managed and or owned assets consists of nearly 1,000 units comprising more than 1 million square feet of properties.